If you are interested in purchasing any of the work on this site or would like to have a piece commissioned, please contact me using the email form. Thanks! Follow my Instagram below. Sometimes I post art stuff. 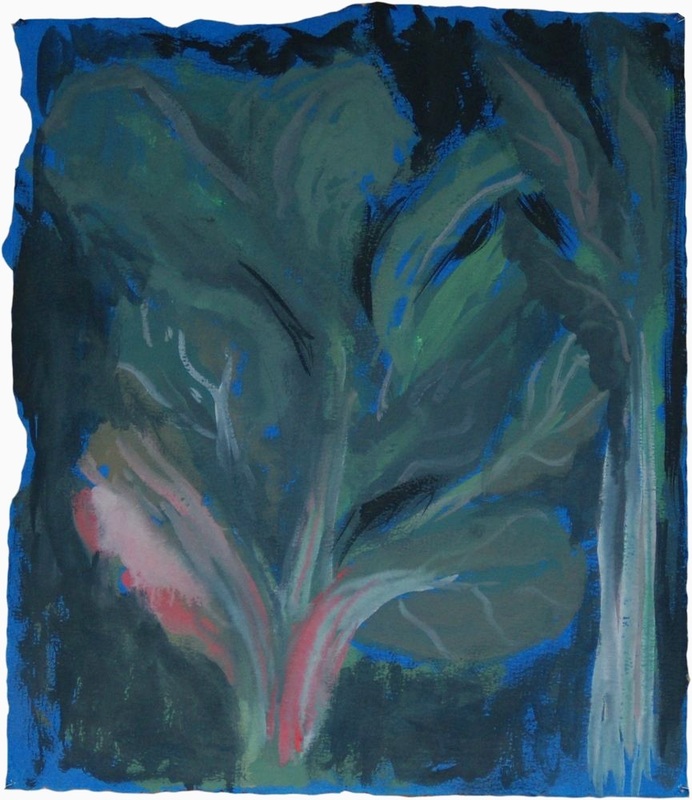 Rainbow Chard Study. Oil on blue printmaking paper. Apx. 24” x 16”. Study for Abyss. Gauche on black printmaking paper. Apx 16” x 30”. Abyss. Oil on wood. 4 1/2’ x 3’. 2018.